Everest’s model of integral formation has always emphasized the formation of a solid intellect providing a wealth of knowledge. 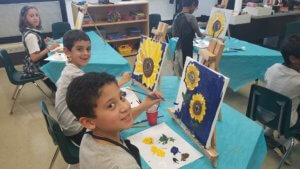 Over the past year, this formation has been extended to the co-curricular programs with the spring and summer STREAM programs. 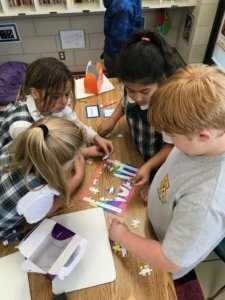 This fall our students once again had the opportunity to participate in co-curricular opportunities that are both in line with our Catholic faith and enhance our educational disciplines. 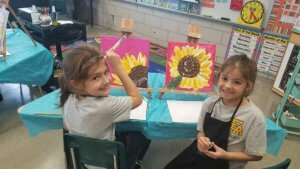 St. Catherine of Bologna Painting Club: learning the basics of painting on canvas and how art can be used to illustrate important values of life such as love, respect, and forgiveness. 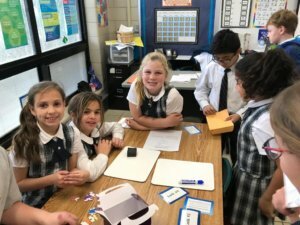 St. Daniel’s Escape Room: just as Daniel through his faith escaped the lion’s den, students in Mrs. Nielson’s room solved puzzles and answered questions in order to unlock the keys to escape. 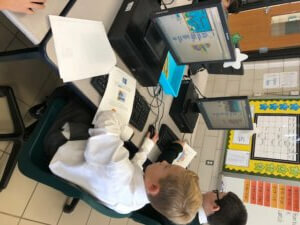 St. Isidore of Seville Coding Club: named after the patron saint of technology, this club focused on the basics of coding and program. 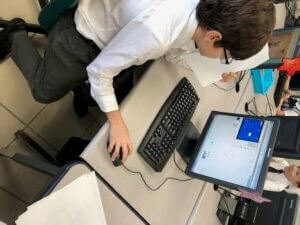 Congratulations to all the students for your achievements in these programs, and thank you to Mrs. Reichert, Mrs. Nielson, and Mrs. Maxim for providing these opportunities for our students.